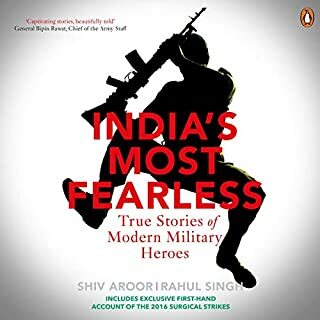 The Army major who led the legendary September 2016 surgical strikes on terror launch pads across the LoC; a soldier who killed 11 terrorists in 10 days; a Navy officer who sailed into a treacherous port to rescue hundreds from an exploding war; a bleeding Air Force pilot who found himself flying a jet that had become a screaming fireball...their own accounts or of those who were with them in their final moments. The Mossad is widely recognized today as the best intelligence service in the world. It is also the most enigmatic, shrouded in secrecy. 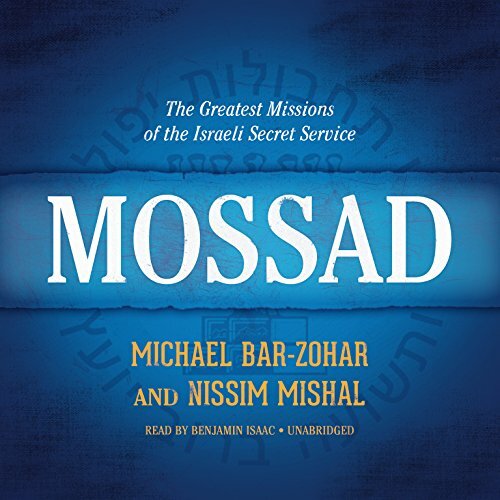 In Mossad, authors MichaelBar-Zohar and Nissim Mishal take us behind the closed curtain with riveting, eye-opening, boots-on-the-ground accounts of the most dangerous, most crucial missions in the agency's 60-year history. These are real Mission: Impossible true stories brimming with high-octane action - from the breathtaking capture of Nazi executioner Adolf Eichmann to the recent elimination of key Iranian nuclear scientists. Anyone who is fascinated by the world of international espionage, intelligence, and covert black-ops warfare will find Mossad electrifying. ©2012 Michael Bar-Zohar and Nissim Mishal (P)2014 Blackstone Audio, Inc. There are factual errors in the book to mislead the readers. It's meant to cover up inhuman act of terror acts of IDF and Mossad towards Palestine. 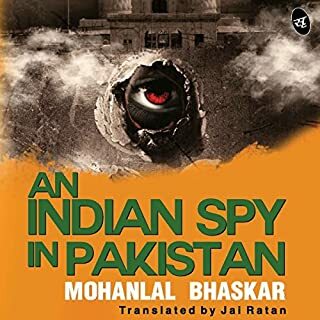 The book is written more like a spy novel than a dry history book. The authors tell the stories of the more famous and well known escapades of the Mossad. The Mossad is recognized as the best intelligence agency in the world. The authors tell the story of the most famous and well justified mission of the kidnapping by the Mossad of Adolf Eichmann in Argentina and bringing him back to Israel to stand trial for war crimes. Bar-Zohar tells about the bombing of the Syrian nuclear reactor and the assassination of the Iranian nuclear scientist. They also tell the escapades of master spy Elie Cohen. Bar-Zohar not only reports the successful cases, but ones that turned into a disaster for the agency. The book is a fun read but the book fails to provide the wider perspective of the events. The authors failed to provide the political context of each event. Very little is told about the founding of the Jewish State in 1948 or about the geopolitical outcome of the Six Day War in 1967. Without all the background, one would not understand the problems with the Palestinians. The authors do provide a brief history of the founding of the Mossad and a brief biography of its early leaders. But if you are looking for a light weight spy story, the book is a fun read. The book had the potential of providing an in-depth view of the role of the Mossad and its effects on Israel. Instead, they went for a lightweight fun read. The book is about fourteen and half hours long. 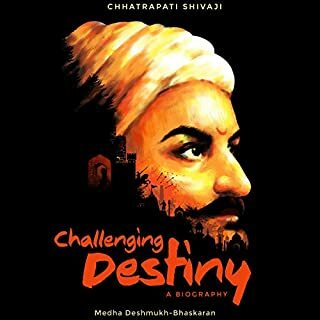 Benjamin Isaac does a good job narrating the book. maybe with a different reader. the story was great. Enthralling, hard to to stop listening. unfortunately, the narrator had a voice like Ben Stein. even in emotionally charged points, he spoke in such a monotone voice that I almost feel asleep. In short, story is great (some missions will break your heart while others with have you cheering), but the performer is horrible. The best thing about the book are the stories. They are all interesting and several are excellent. The way the book is organized prevents the authors from developing characters, however, and the book sometimes fails to place stories in their correct political / security context. However, the book's high-tempo, and the excellent access the authors appear to have to the participants, more than compensates for these limitations. 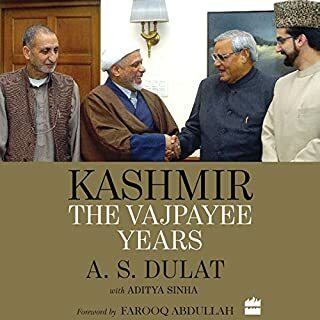 My biggest knock is that the book is self-congratulatory, and at times the author's own political agenda seems to the surface. The authors offer little depth, and few strategic insights, though they provide enough detail, action, and clandestine nuggets to almost overcome that problem. Not Easy without some prior knowledge. Worth it. Makes one wonder what we don't know. Not just the great successes but the blunders are in here too. Will probably re-listen several times. Good stories, some I'd heard, but many not. They tried to place each one in its historical context, which Mossad leader, which Prime Minister, etc., at the time. It's my second book on this topic (Gideon's Spies) and I still enjoyed it very much. I know little about the correct pronunciation of words in this culture, but I'm pretty sure Simon Wiesenthal's first name doesn't sound exactly the same as 'Simone' Signoret or 'Simone' De Beauvoir. Surely not! But the mispronunciations didn't spoil the book, just made me wonder. Ten movies worth of stories here. Very interesting to hear all the details many years after the headlines. I recommend. This is an absolutely fascinating book that covers Mossad missions from the formation of Israel to the present. The book is well written and the story moves quickly. The narration is excellent. It is very hard to put down. The book is generally positive about the agency, but not fawning. Flawed missions are discussed candidly. One comes away with a very definite view that the U.S. owes much to Israel and the Mossad, especially given our fumbled foreign policy of the last ten years through two diametrically different administrations. The Good – I learned a lot of information about things I never knew about and more information about things I knew little about. ‘Mossad' laid out the struggle to survive that Israel has faced since it was born. I was shocked to learn that Israel attempted to trade back all the territory it had conquered in the Six Day War for lasting peace with the Arab nations, but the offer was angrily rejected by those nations. The Not So Good – The book gave the sense of a very slight pro-Israel bias, but in light of the rabid hatred they've faced, on a minute-by-minute basis, since 1948 I can’t blame the authors and I forgive and understand whatever slight amount of bias there may have been. That said, it does not detract from the facts or the reality that the book outlines. Also, to their credit the authors are very open about the not so good aspects of this agency as well. The Bad – It ended too soon. Aside from that, nothing about this book was bad. The Length – Not long enough at 14-hours. It could have gone on for 6 more hours and I would have carried on with fascination. I wanted more. The Narration – Benjamin Isaac had the perfect voice for this reading. He had a measured cadence, good inflection and balanced tone. I’m not sure about some of the negative review comments for his narration? I thought he was a very good narrator for this book. Serious and to the point. I don’t speak Hebrew so, perhaps, he didn’t pronounce some of the words correctly? That may be unfortunate, but not everyone will be happy when it comes to pronunciations. The Overall – While I only made one bookmark with note I attribute that to the fact that I knew early on that I would listen to it again. This book sat in my wish list for nearly a year until, one day, it was on a special two-for-one credit sale. Ironically, now that I've listened I feel like I got a real steal on this book at half a credit! Don't let that stop you though; it's worth a full credit. I let it sit for so long because I was concerned it would be too biased and I was also concerned about some of the reviews where people said it needed more context. Wrong! I don’t think the book needs more context at all. It can stand alone and it did so very well. In fact, adding more historical context may have actually ruined the book and turned it into one of those ‘in the weeds’ history books that makes you say aloud, "please get to the point". 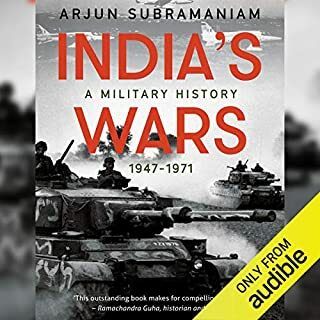 The only context you need to know before listening to this book is that Israel is, and always has been, surrounded by nations that want to kill it. That’s a fairly simple context to help anyone ‘understand’ this book. This was a gripping book that told amazing stories that need to be told. It read like a spy/thriller novel, but it told gut wrenching real life stories. 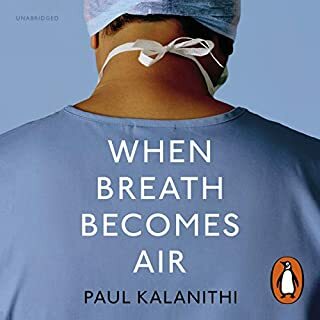 This was a very good book and I will be listening to more works by these authors and this narrator. I would not say it is a “great” book because it didn’t have that “I don’t want to put it down” feel. Hence, the four star overall rating. Extremely interesting and exciting. Excellent insider knowledge. Very good to know there's nobody more interested in maintaining Israel's security than the Mossad, regardless of fickle world opinion. One of those rare listens that you genuinely cannot stop listening too. Brilliant book with details I would never expect from secret service missions. You could not be disappointed with this book. sorry couldn't get past chapter 2 due to the droning lifeless narration. I will be pursuing a refund. Not an objective view of the secrete service. I felt it was very much onesided. However, the name does state Greatest Missions so there is an indication there. Felt the performance was a little wooden also. I've always been a big fan of the story behind all the Mossad and Israel intelligence operations. It was amazing to know all those specific details on all the most impressive operations and, even a large number of operations I wasn't aware of. A real treat and fascinating to listen to. Well worth the time and purchase. No dull moment and gripping story or more like stories. This was a joy to listen to as a collection of short stories giving just enough detail without getting bogged down unnecessarily. I really enjoyed the narration performance. Some of the stories of Mossad are truly fantastic but the person reading this has the most annoying voice ever. I gave the overall mark as 3 (average) because of the narrator. A better narrator and it would most most definitely have got 5 stars overall. Honestly, it sounds like a computer is narrating the story. Incredibly open and detailed accounts of all sorts of Mossad missions, a must-listen for anyone interested in Mossad!! Many of the Mossad operations will be mostly familiar to anyone over the age of 55. It was a little long winded and hard going at times and gave the impression it had been written and not edited at all to cut down on, what for me, were unnecessary sequences. A gripping tale of espionage, covert operations, and - at time - huge improvisation. The one aspect of the audiobook I thought could have been better was the lector - an Israeli accent would have made it more credible. The intonation could also be less “US news anchor” -like, the story did not need it. best Mossad summary I've heard. inside knowledge with historical significance to present day events. excellent book and would thoroughly recommend. Would you try another book written by Michael Bar-Zohar and Nissim Mishal or narrated by Benjamin Isaac? Has Mossad put you off other books in this genre? What didn’t you like about Benjamin Isaac’s performance?